If you’re paying attention to the skyline then you’ve seen solar pv arrays being used to provide clean, renewable energy popping up everywhere. Many homeowners and business owners have made the switch from fossil fuels to solar power, but even the smallest of energy users (see photo left) are also making the move. Solar Energy can be used anywhere on Earth the sun shines. We use it to provide energy in remote locations where the ‘grid’ cannot reach as well as in ‘grid’ connected areas to help offset some of the utility company electrical demands. A solar electric system in conjunction with battery back-up can produce clean, renewable energy throughout the day which can be distributed anytime, even during the utility companies peak charge times to save the most. 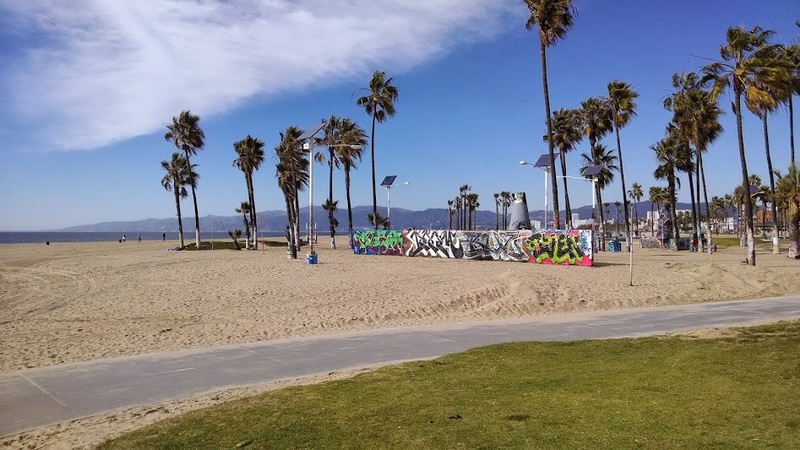 The solar lighting system installed at the Venice Beach Art Walls includes a battery back-up system at each light which allows the entire area to shine all night completely off the electrical grid. Feel free to email, or comment below should you have questions or opportunities to discuss. Arizona and other southern regions of the US this can be more than 80% savings. A solar hot water system costs more than a conventional water heater, typically between $7,000 and $8,000. However, after rebates and tax incentives the cost to the client for a new solar hot water heater including a new tank is $2 – 3,000. Homeowners may want to budget for routine maintenance on some units to include periodic checks on the pH of the system’s with glycol solution. A gas water heater should never be used as the only tank in a solar hot water system. In a solar storage tank, water stratifies by temperature; cool water from the bottom of the tank is pulled up to the collectors on the roof to be heated then returned to the top of the tank. The colder the incoming water, the higher the solar collector’s efficiency. In a single tank system, the electric element or gas flame keeps the stored water hot, leaving no cold water available to send to the solar collectors. Solar hot water systems can be either active or passive. Most solar hot water systems use a pump to move fluid through one or two collectors. Thermosiphon systems, suitable for simple domestic hot water systems in frost-free climates, rely on natural convection to move water. systems offer stability and predictability when it comes to energy costs and supply. That’s not something that any system running on fossil fuels can match. Please contact us for additional information anything building or construction related to include Solar or a free quote on Solar Hot Water Heater Systems and Solar Electric Photovoltaic Systems.